Since 1989, we have worked with residents and businesses in Cedar Park, Pflugerville, Lakeway, and surrounding areas in Texas, providing them with home, auto, and life insurance solutions. By leveraging the relationships we’ve built with the nation’s top providers, we are able to accommodate our customers’ needs with quality products and services. As a local agency, we are accessible to our clients when they need us most. We also take pride in the communities we serve, and we are active in local organizations such as Superhero Kids, Mobile Loaves & Fishes, and Austin Dog Rescue. I have used Dowd Insurance now for a number of years & have never been disappointed with the value or the quality of products or services offered. The entire team is always professional, very responsive, & extremely trustworthy! They are also very proactive in reaching out to recommend any changes in coverage along with ways to save money. You can take heart in the fact that Dowd Insurance isn’t just trying to sell you something, they legitimately care about their clients & their well-being. Dowd Insurance has been my insurance provider for several years and have always thought I had the best agency. I periodically check with other providers and Dowd Insurance has always equaled or topped competitors in their rates. I am a real estate agent and when I have a client needing an agent I refer them to Dowd Insurance. I began working with Tom Dowd in 2006. I was very impressed early on because Tom took the time to really understand my business before recommending coverage that was tailored to our needs. I had no idea how little service our past provider was giving us. We do a complete review each year, and as my business evolves I trust Dowd Insurance to ensure we have the coverages my business needs to manage our risks appropriately. I feel like Dowd Insurance is part of the family. The team at Dowd Insurance are always responsive and professional. I am happy to say Integra is a life long customer. I love working with Dowd Insurance! Sam and the team take such great care of me and my business. Whenever I need help, I know that they are just a phone call away! My husband and I have a family owned business in Austin too, so we know how much it means to work with people we know, like and TRUST. If you have a small business, you should definitely give them a shout! You will be thrilled with the level of knowledge and care that they provide their clients. As the owner of COMPLETE weddings + events, a special event entertainment provider at over 650 events annually in Central Texas, I was interested in building a relationship with a seasoned professional for our business insurance needs. Dowd Insurance has become an valued partner as our business continues to grow and transform. As a professional in the service industry, we have high expectations for excellent customer service. We are thankful for their quick response and knowledge at every step. 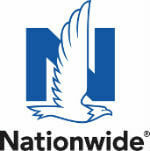 As a full service Insurance agency, I transferred our personal insurance coverage to Dowd as well. We look forward to a long relationship and rest well knowing we have a great team at Dowd to support us along the way! Sam has helped me out but he has also helped out several of my clients too. Really great communication and clever solutions. Buying insurance can be a hassle. Except with Dowd insurance. They are professional, client-focused, and provide quality service. They make the process quick and painless which makes it easy to recommend them. Dowd Insurance Agency has taken excellent care of both our auto and home insurance needs for years. With four autos to cover, including two young adult drivers, Tom and his staff have been quick to help us find the best coverage at the very best rates available! Had a great experience with Dowd Insurance. The high quality customer service was unlike any I've encountered while looking for insurance previously. I appreciated their responsiveness and help with all of my questions. I will definitely be going back for any other insurance needs I have.